A spontaneous food trip is one of the best kinds of meet-ups in my books. This is what exactly happened last Saturday. 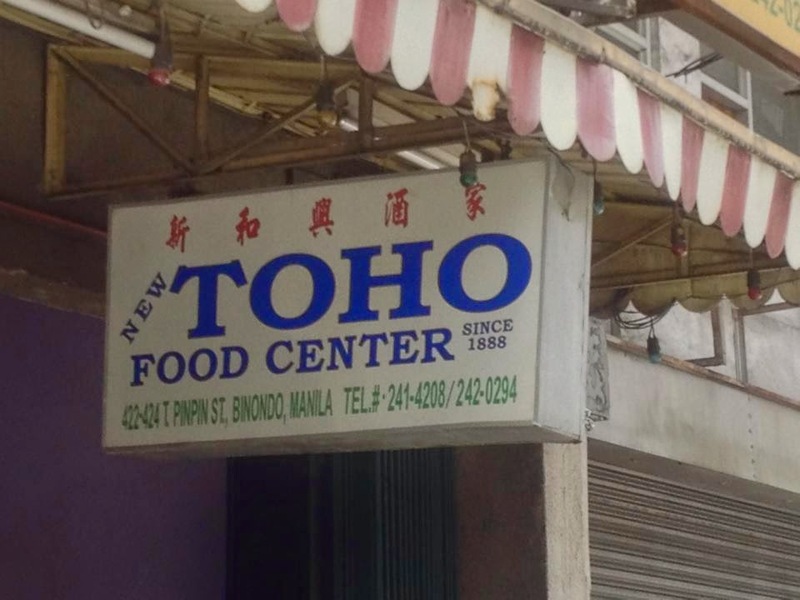 So we decided that our first stop will be the Toho Food Center. If you get off at the Church in Binondo, turn right and walk straight ahead until you get to Mercury Drug. 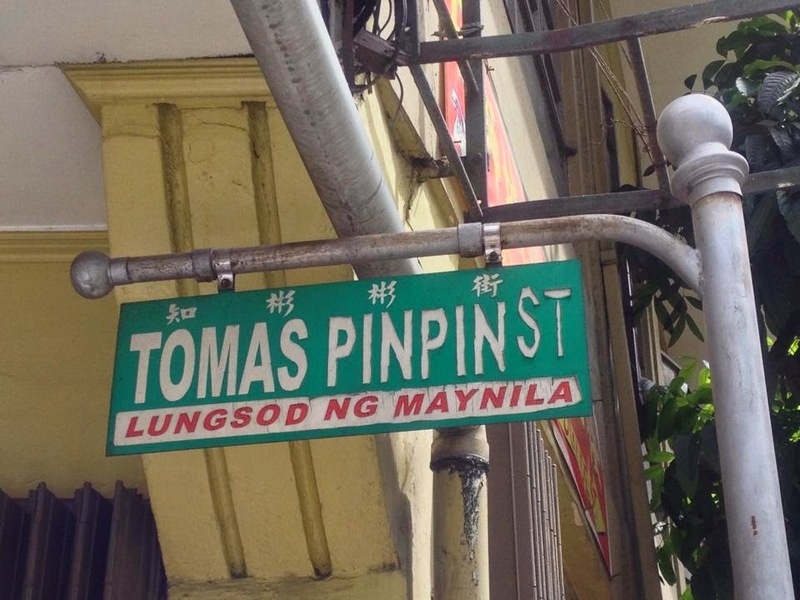 From there, turn right at Tomas Pinpin St. When we arrived there, it just looked like a random canteen. There was also a flock of tourists with a tour guide who went up to the "New Toho" portion of the restaurant. We asked the waiter what is the difference between there and being at the regular one. 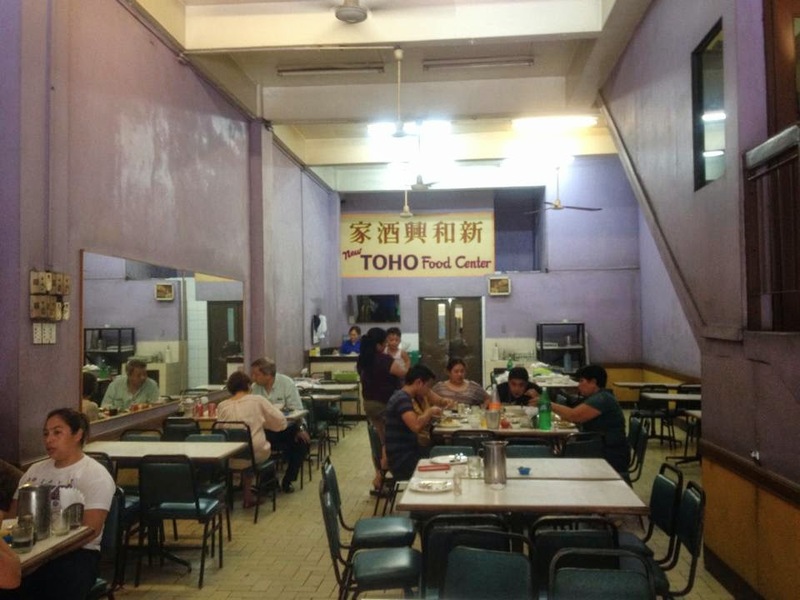 He said it's the airconditioning but the food there is the same but pricier. We just stayed downstairs. If you were a passerby and you saw this place, I'll honestly say that this doesn't look like it has good food. But they do! When our food was arriving one by one, we both initially thought that the food was not photogenic but when we tasted it, it was delicious. 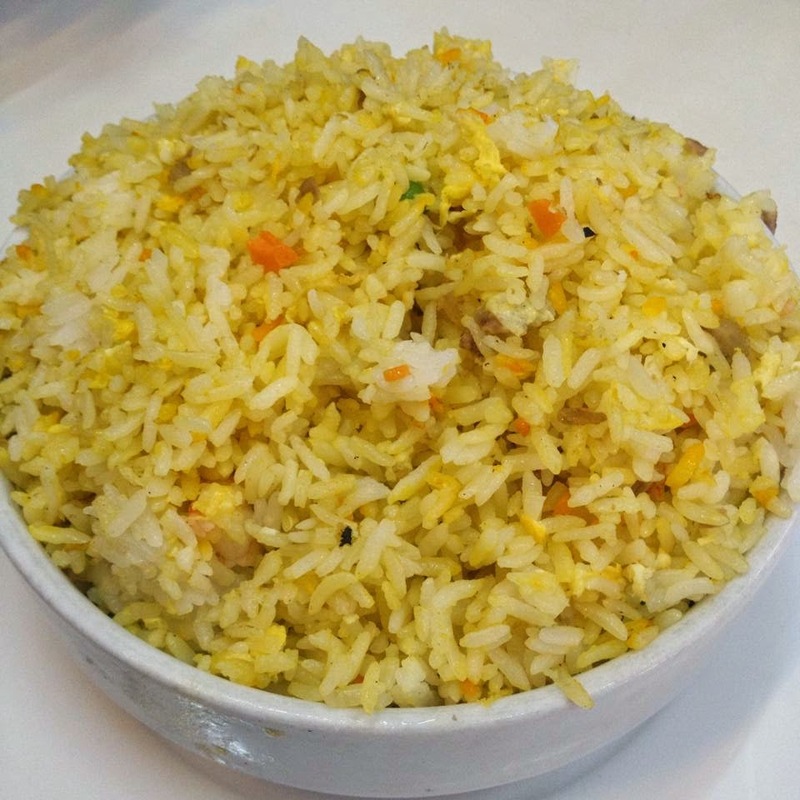 I usually eat yang Chow rice when I go to Chinese restaurants and I can say this is one of the best ones I've tasted. I tasted the natural flavors of the eggs, shrimps, and vegetables and it doesn't seem like it has tons of artificial flavorings nor food color. 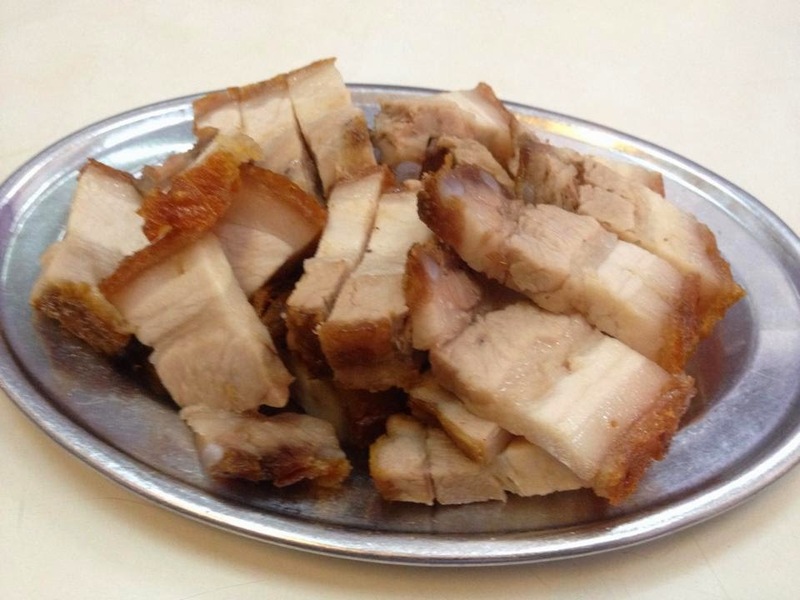 One of the basis of good lechon kawali for me is when the crunchy part of the fat doesn't roll up and becomes soft upon chewing. 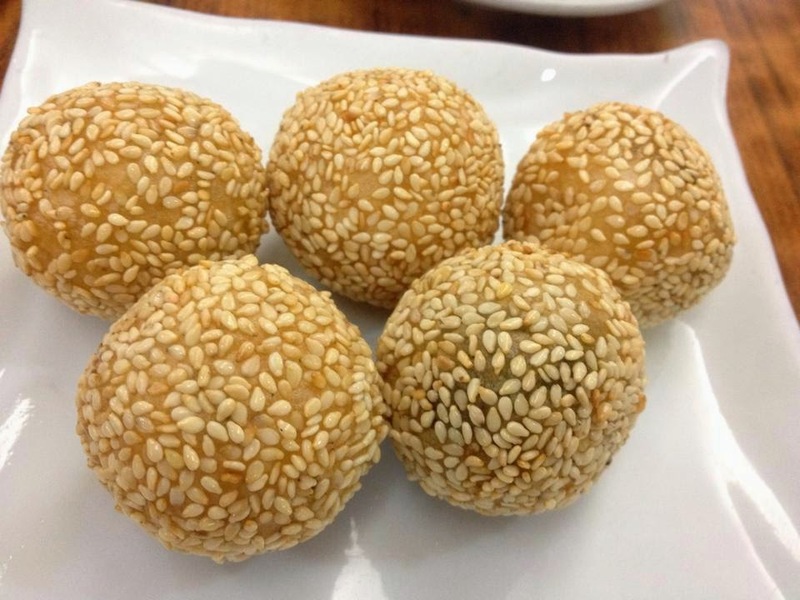 But with this lechong kawali, you can here the crunch in your mouth upon biting that fat and doesn't curl up. It was also not greasy and seemed to be void of artificial flavorings. We initially asked for Pork Asado when we ordered but the waiter said it's not available anymore. 10 minutes after we order, he passes by us with a giant slab of meat and says "Ma'am, available na po ulit. Oorder po kayo?" After some contemplation, we decided to get it since it's the bestseller of the house. Good thing we did, because it was so good. It's like a fusion of tocino x ham x asado that doesn't need any sauce. No wonder it is easily sold out. 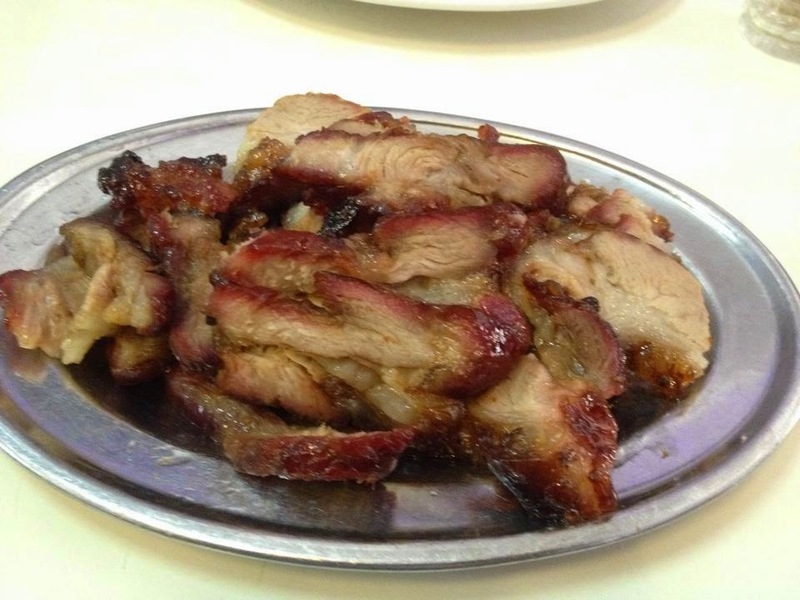 When we watched Jessica Soho's video, we also noted this "secret item" at the menu and really opted to try it. Mailan whispered to the waiter "Kuya, do you have the Pancit Bihon in Milk Sauce?" The waiter asked his boss first about this and he answered yes. I was wondering if this would taste like Chinese-style carbonara. When it arrived, it just look like a slab of noodles with white sauce and when we got to taste it, it didn't taste like Chinese-style carbonara. 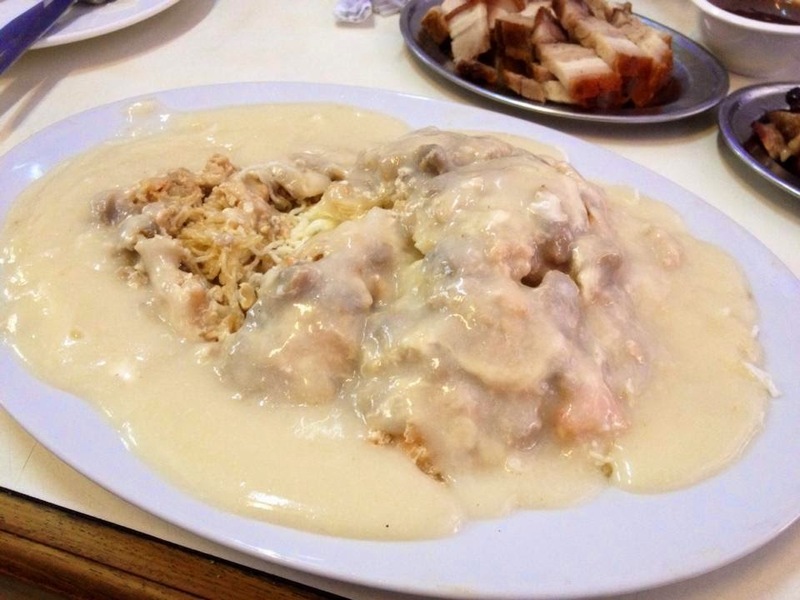 It was crunchy noodles covered with crispy pork, shrimps, and mushrooms in creamy milk sauce. It was so good! The serving was also plenty since with the other menu items, they had the small, medium, and large choices but this dish comes in one size. Next up was coffee and dessert at Sa Lido Restaurant. 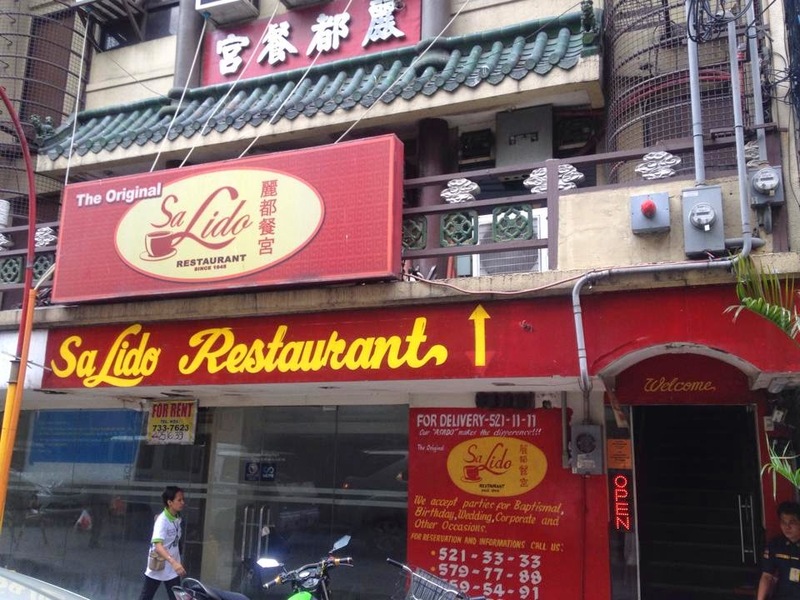 Sa Lido Restaurant along Ongpin St.
We got there around 2:30PM. 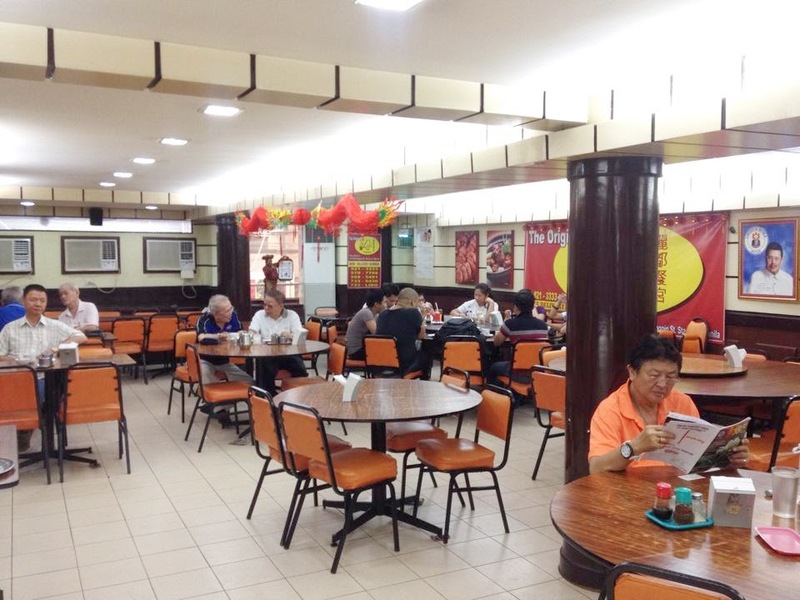 When we entered, there was only 1 big group eating there but the rest are table of 1 or 2 with Chinese men drinking coffee. "This must be legit if this is what we're seeing here," I said. When I tasted the coffee, it wasn't as strong as the ones made by a coffee maker. It tasted great and when I looked at the bar, the crew were using siphons for brewing the coffee. 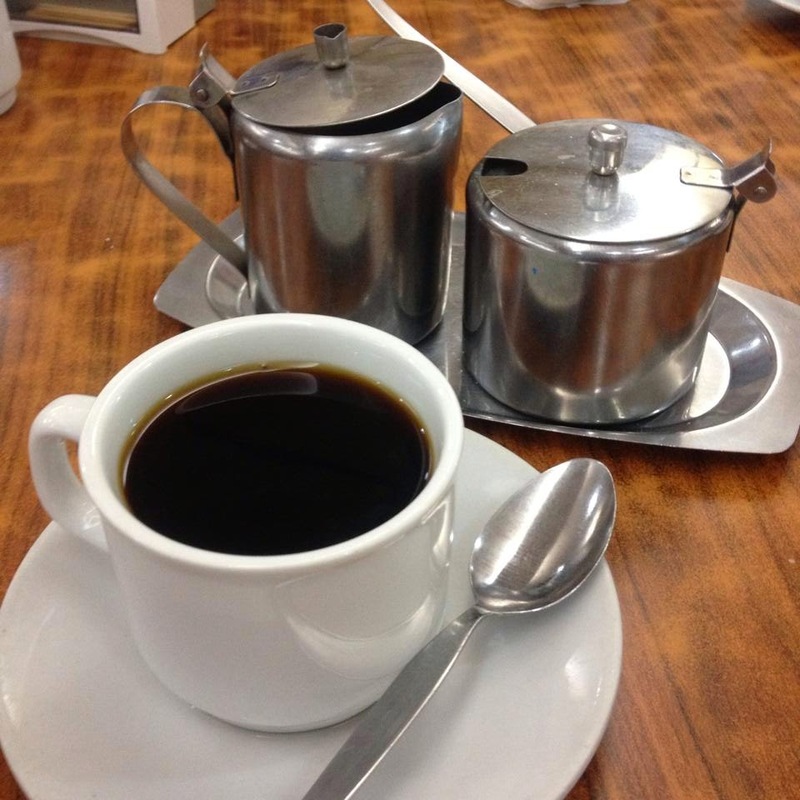 Coffee made through siphons for only Php65.00? Not bad at all! Butchi at Sa Lido Restaurant. Photo by Mailan Falculan. We paired our coffee with butchi. When I opened it, it had a moss green filling and their waitress said it was just mongo. This butchi's different since when you hold it firmly, it deforms unlike the other butchis from other Chines restaurants. When you bite it, it seems gelatinous and the mongo flavor was nice. 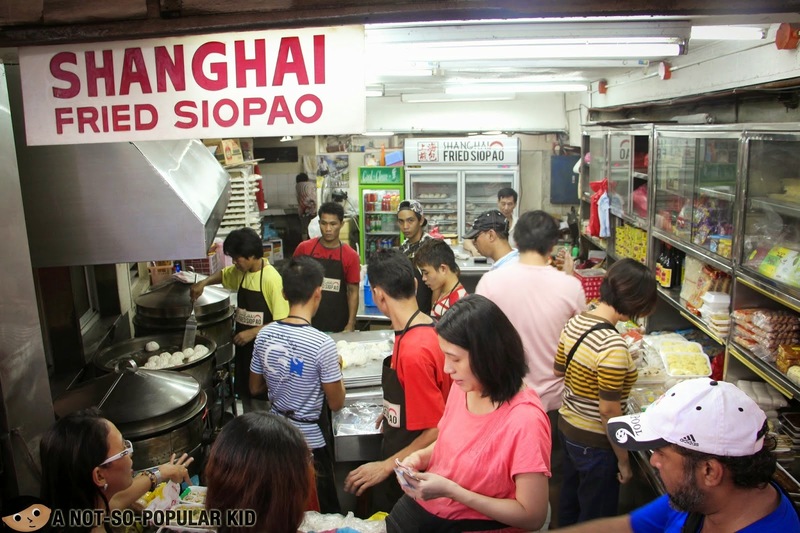 We walked around after that since we were so full but before going home, Mailan insisted that we buy fried siopao. I was like.. "Fried siopao? Like fried siomai or fried dumpling?" "Uhm, no." This one's a little hard to find if all of you will go here for the first time since it is not that eye-catching. We bought one each for Php18.00. It didn't look like it was fried but when you look under it, the bottom is toasted. They still steam it but put cooking oil at where the siopao is placed. 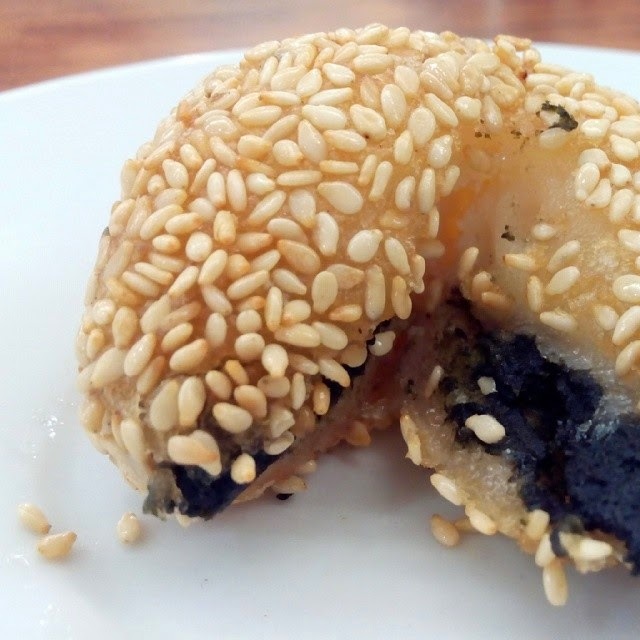 It also has a delicious filling with pork and herbs inside. Hands down, the best siopao I've tasted so far. 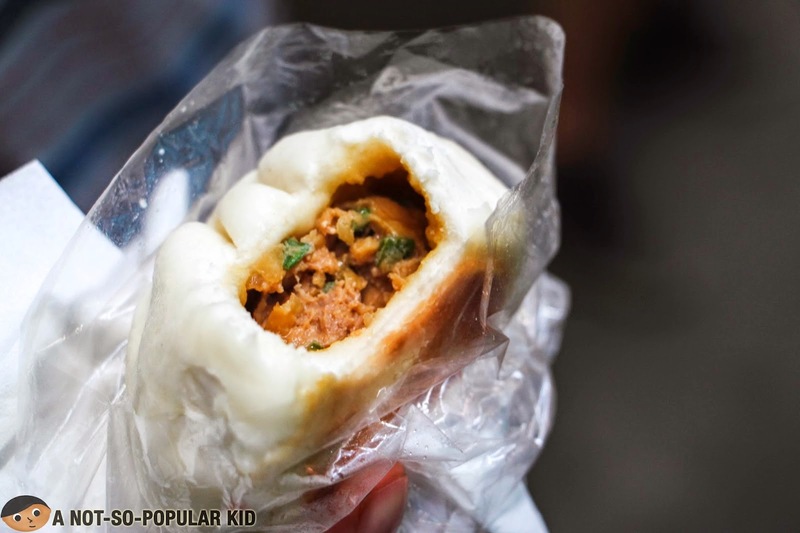 This was by far the best food trip I've done and I can't wait to go back to Binondo for another one!